How protected are marine protected areas? One of the first things everybody notices when diving or snorkeling in Hong Kong for the first time is the multitude of sea urchins in shallow waters, particularly the black-spined urchin, Diadema setosum. Densities on rocky reefs are high enough (up to 3.4 m-2; Thompson, 1980) to support a fishery by hookah divers from the mainland who risk arrest, for fishing in Hong Kong, to collect them for their roe. Populations of D. setosum must be having a considerable impact on shallow reef biota as they graze algae, and aggregations have been observed causing serious bio-erosion to otherwise healthy coral heads (McCorry, 2002), but how natural are these high densities ? This question has been asked before by Thompson (1980). He observed that the behaviour of D. setosum, which hides from predatory fish in crevices on Indo-Pacific coral reefs and feeds at night, is quite different to that in Hong Kong where it is often found in the open during the day, and speculated that predators, including lobsters, may naturally be scarce here, or have been reduced in number by overfishing. Unusually high numbers of a related species, Diadema antillarum, have previously been linked with intense fishing on their fish predators in the Caribbean (Hay, 1984). The most notable predators of adult sea-urchins in the tropical Indo-Pacific are certain large reef fishes, particularly the larger wrasses, triggerfishes, puffers and porcupinefishes. Hong Kong lies at the limits of distribution for many tropical reef species and all triggerfishes (Balistidae), porcupinefishes (Diodontidae) and the large Arothron puffers (Tetraodontidae) are currently rare in local waters (Sadovy & Cornish, 2000), and there is no evidence to suggest they were ever otherwise. Of the large wrasses (Labridae), the Napolean wrasse (Cheilinus undulatus) appears to have been scarce too in the past as it is not noted in early accounts of local fisheries, leaving just three species of tuskfish, Choerodon anchorago, C. azurio and C. schoenleinii as potentially important predators. Again, I have come across no mention of the two former species in the early Hong Kong fisheries literature and as both only grow to 40 cm, it seems unlikely that either had a significant impact on sea urchin populations due to their small size and low abundance (although C. anchorago does feed on them, Sadovy & Cornish, 2001). The Black-spot tuskfish, C. schoenleinii, however, is a different proposition. It is far larger, at 100 cm maximum length, includes sea urchins in its diet and was noted in the 1960s as being "common in Hong Kong" and "taken locally year round in small numbers by gill-net and hand-line, and often speared by SCUBA divers" (see Sadovy & Cornish, 2001). These days this highly prized fish (which has the local name Ching Ye), is rarely seen and has disappeared from the commercial fishery, although spearfishers continue to take a few each year. What is really intriguing is that in the 1930s the Black-spot tuskfish was common enough in local waters to be able to support a dedicated fishery (Lin, 1940). Longlines with 60 hooks 2.5 inches long were baited individually with an urchin with "black, very long, robust and brittle spines" (i.e. Diadema spp.) which the fishers dived to catch. Although it was reported that "not many" fishers were engaged in this fishery, as not many had the skills to collect the urchins, the fact that this was a viable fishery tells us that i) Diadema form a significant part of the diet of Black-spot tuskfish in Hong Kong and ii), the ratio of Black-spot tuskfish to urchins was much higher than it is now (if the bait was naturally very abundant in regard to the numbers of fish it is unlikely fishers would catch any). It seems completely plausible, therefore, that a combination of a naturally low diversity of predators, and severe overfishing of a major one, could have allowed Diadema setosum (and possibly other abundant urchins like Anthocidaris crissipina) to expand in numbers to those seen today. Taking this story a final stage further, it would be very interesting to know what effects any increase in urchin grazing pressure is having on sessile benthic organisms, notably the hard corals. In the Caribbean, high densities of Diadema antillarum resulted in high mortality of coral recruits due to the intensity of grazing, although the optimal conditions for coral recruitment and growth came at intermediate densities when the urchin reduced competition for space from algae (Sammarco, 1980). If artificially high sea-urchin densities have resulted in changes to coral survival rates in Hong Kong, and I would be the first to admit this is highly speculative at present, the case of the Black-spot tuskfish may be an illuminating example of ecosystem overfishing. Hay, M.E. (1984). Patterns of fish and urchin grazing on Caribbean coral reefs: Are previous results typical? Ecology 65: 446-454. Lin, S.Y. (1940). The Fishing Industries of Hong Kong. Journal of the Hong Kong Fisheries Research Station 1(1): 5-101. McCorry, D. (2002). Hong Kong's scleractinian coral communities: status, threats and proposals for management. unpub. Ph.D thesis. Dept. of Ecology and Biodiversity, The University of Hong Kong, Hong Kong. pp 204. Sadovy,Y. & Cornish, A.S. (2000). Reef Fishes of Hong Kong. Hong Kong University Press, Hong Kong. pp 321. Sammarco, P.W. (1980). Diadema and its relationship to coral spat mortality: grazing, competition, and biological disturbance. J. exp. mar. Ecol. 45: 245-272. Thompson, G.B. (1980). 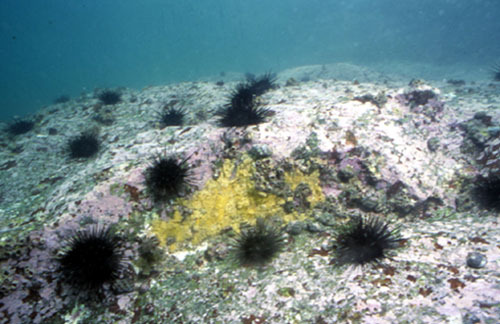 Underwater observations on the distribution of regular sea urchins in Hong Kong. In: Morton, B and Tseng, C.K. (eds) Proceedings of the First International Marine Biological Workshop : The Marine Flora and Fauna of Hong Kong and Southern China, Hong Kong 1980. Hong Kong University Press, Hong Kong.p. 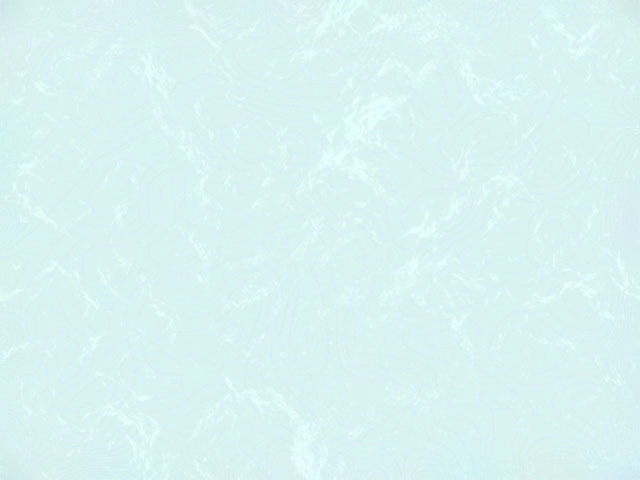 655-671.